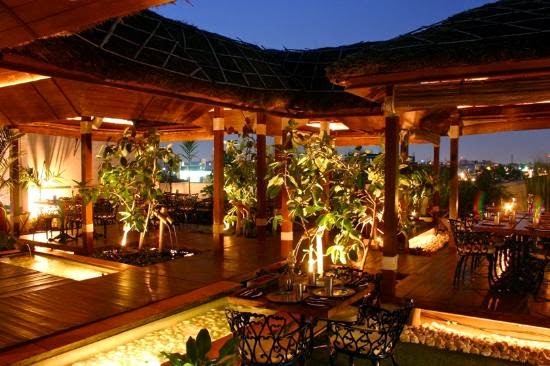 We have been to this multi-cuisine restaurant 'Zafran Exotica' long back which is in Banjara hills, road no.12. At that time, i was looking for a restaurant with good rooftop garden. It was excellent in all aspects. Ambiance, food quality and service are the best. It is a multi-cuisine restaurant and we tried Thai food. I would recommend it for a quite romantic candle light dinner. Lighting and decoration are also good. Even though we visited this restaurant long back, from the recent reviews in zomato, it's clear that still it is the same. On that day we received some dish which is not hot and when we complained, they gave it reheated and also reduced that amount from the bill. Service is good, but it is a bit expensive. The shrubs and huts outside, cool breeze and mini fountains are a plus. Lighting is dim and enhances the interiors. Woww.. Congratulations Ramya :-) despite being a busy working women, mom of a 3yr old naughty kid still u could complete the challenge.. hats off to U! That's a great series of posts! Followed frm A to Z.... Finishing it with tempo is an achievement frm bloggers perspective. . Congrats!! Which are the items that you recommend here? hi Foodaholix.. I tried Thai food, which is good. Didnt try much varieties though. More than the taste of the food, i like the ambiance here.